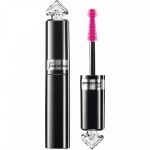 Guerlain La Petit Robe Noire Roll'Ink Liner Black Ink is a roll-on eyeliner that glides on in a flash and gives you precise buildable colour with every stroke and colour that lasts and lasts with an unbudgeable waterproof formula. 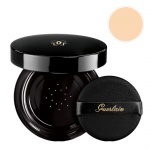 Guerlain La Petit Robe Noire Roll'Ink Liner Black Ink is a new-generation eyeliner with a unique wheel-shaped applicator that glides over the eyelid in the blink of an eye to trace any line, from the finest to the thickest! This ultra-black, no-transfer waterproof eyeliner will see you through your craziest days with 12-hour hold! 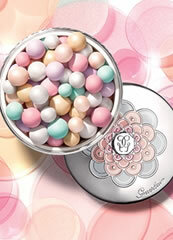 Guerlain La Petite Robe Noire Roll’Ink Liner lets you dare to wear any style! 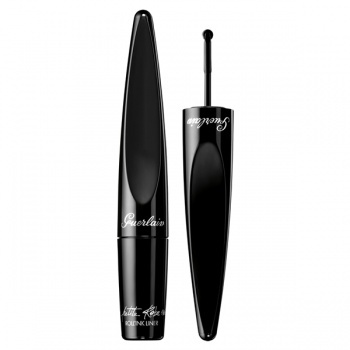 For a classic look, glide the applicator along the lash line to intensify your eyes. 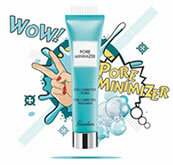 For a more sophisticated look, reapply to create a bolder line. 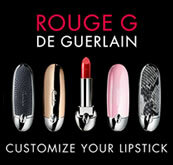 Guerlain La Petite Robe Noire Lipstick is utterley irresistible, deliciously shiny to dress your lips in style. 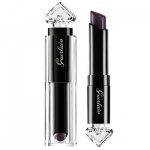 The Guerlain La Petite Robe Noire Lipstick 007 Black Perfecto is a mid plum shade with lots of silver shine.